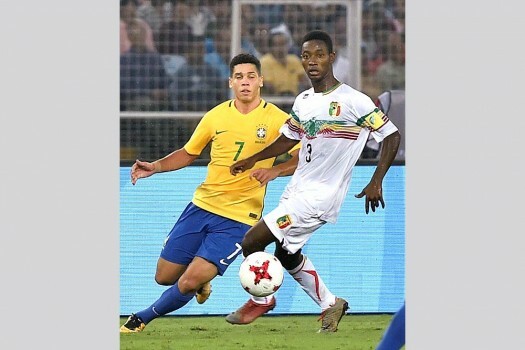 Brazil (yellow) Paulinho and Mali (white) Baubacar in action during FIFA U-17 World Cup 2017 match for third place in Kolkata. 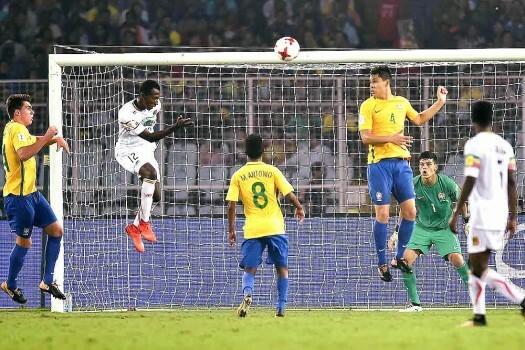 Mali forward Mahamane Toure (12) head returns from crossbar against Brazil during FIFA U-17 World cup third place deciding match in Kolkata. 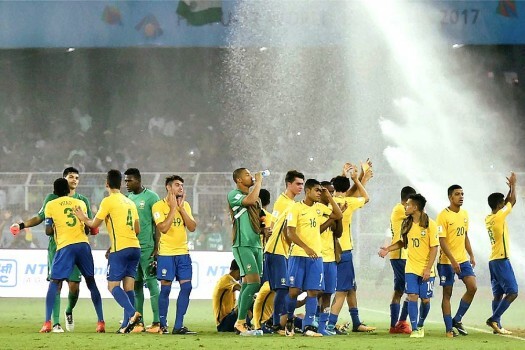 Brazil players celebrating after winning the FIFA U-17 World Cup 2017 match for the third place against Mali in Kolkata. Brazil footballers exchange greetings with spectators after winning match against Mali during FIFA U-17 World cup in Kolkata. 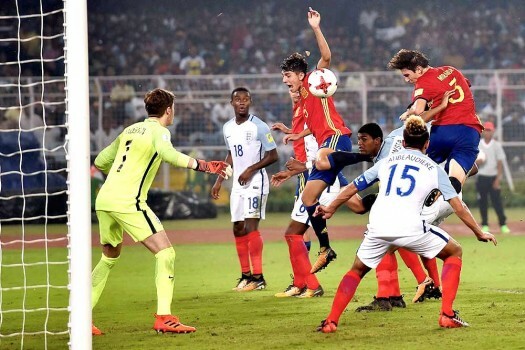 Spain players attack on England's goal during FIFA U-17 World Cup 2017 final football match in Kolkata. 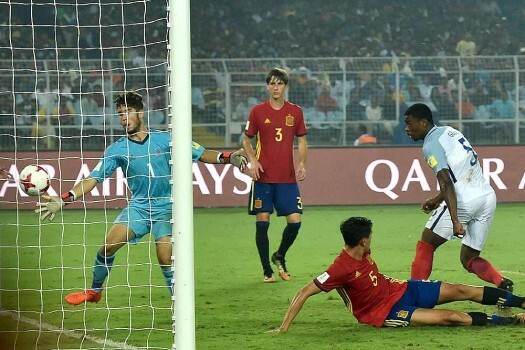 England player Marc Guehi scores a goal against Spain during FIFA U-17 World Cup 2017 final match in Kolkata. 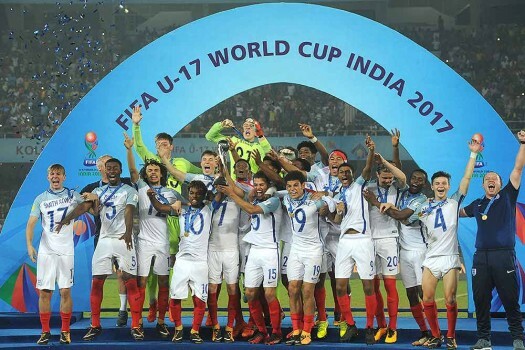 England players receive the wining trophy from FIFA President Gianni Infantino (L) during FIFA U-17 World Cup 2017 final match in Kolkata. 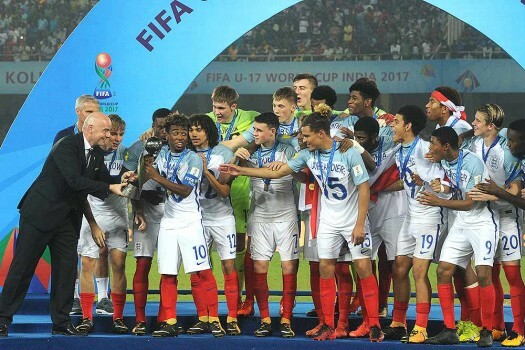 England players celebrate with trophy after winning FIFA U-17 World cup in Kolkata. 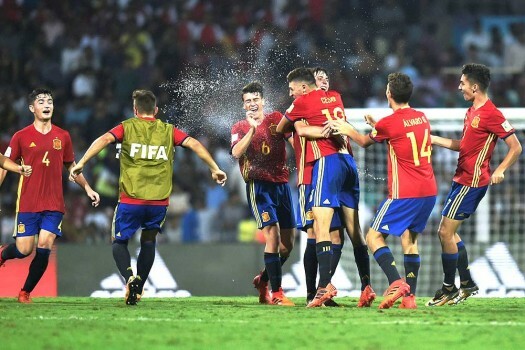 Spain players celebrate after defeating Mali during the FIFA U-17 World Cup Semi final match at D Y Patil Stadium in Mumbai. England and Brazil players vie for the ball during their FIFA U-17 World Cup 2017 semifinal match in Kolkata. 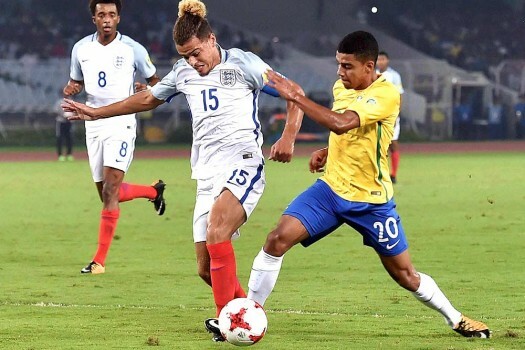 England defender Joel Latibeaudiere (15) and Brazil's forward Brenner (20) vie for the ball during their FIFA U-17 World Cup 2017 semifinal match in Kolkata. 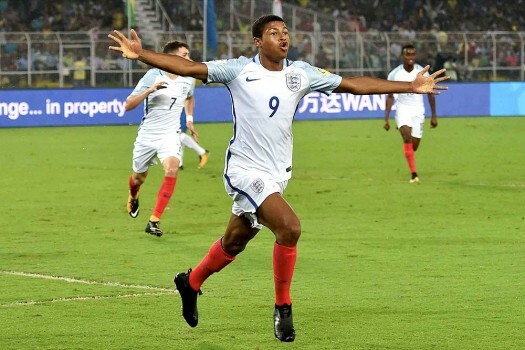 England's Rahin Brewster celebrates after scoring a goal against Brazil during their FIFA U-17 World Cup 2017 semifinal match in Kolkata. 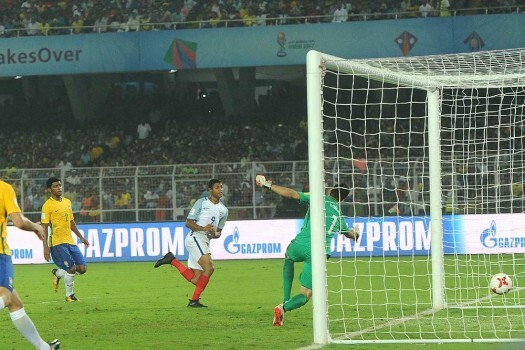 Rahin Brewster (9) of England scores a goal against Brazil during their Fifa U-17 World Cup semifinal match in Kolkata. 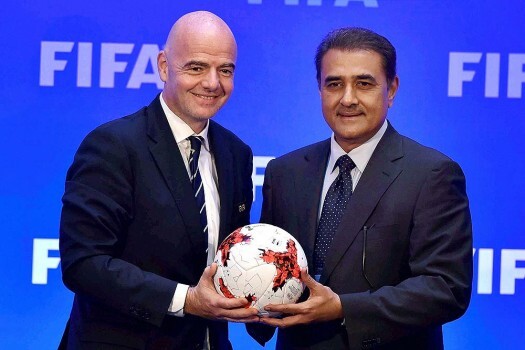 FIFA President Gianni Infantino and AIFF President Praful Patel exchange greetings at the end of an interaction with media after FIFA Council meeting in Kolkata. 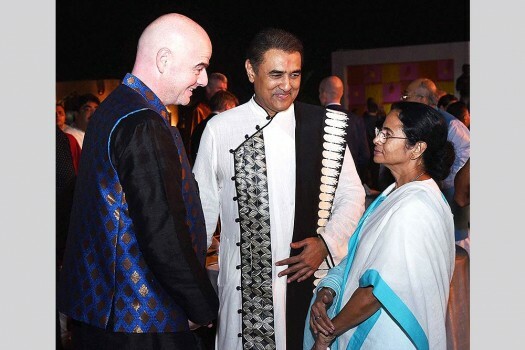 West Bengal Chief Minister Mamata Banerjee with FIFA President Gianni Infantino and AIFF President Praful Patel during a dinner party in Kolkata. 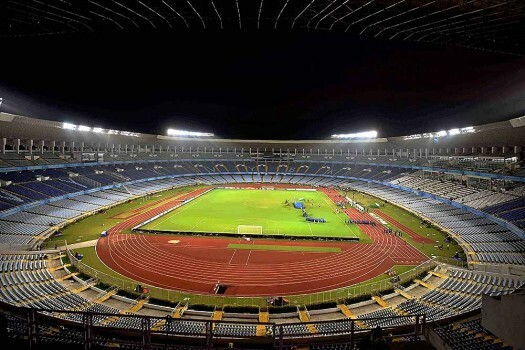 The Vivekananda Yuva Bharati Krirangan stadium is seen lit for closing ceremony rehearsals for the FIFA U-17 World Cup India 2017 in Kolkata. 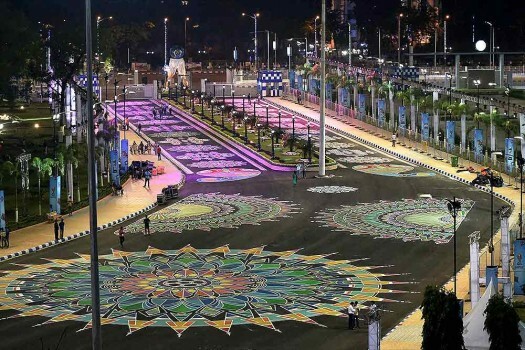 The Vivekananda Yuva Bharati Krirangan stadium is decorated with rangoli and lighting for the FIFA U-17 World Cup India 2017 Final match in Kolkata. A miffed ICC might relocate events from India if not given a tax break. But can it spurn its golden goose? For the sake of Swachh Bharat, Jabalpur administration goes tough on pet owners. Another card for Sadhu babas? Read all the exciting stories from in and around. Which Of The Boys Playing The Under-17 World Cup In India Could Become International Soccer Stars Tomorrow? Federational bungling for decades and lack of structure turned India, a proud footballing nation, into perpetual minnows. 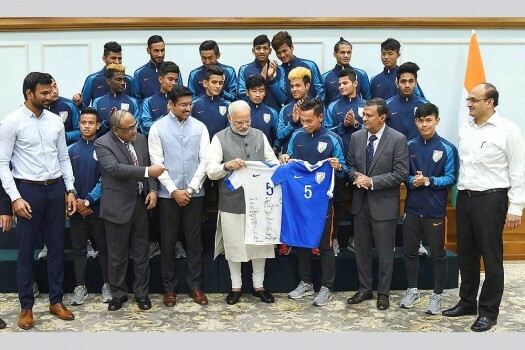 To harness the positive charge of the U-17 World Cup, Indian football needs a determined, tactical overhaul. The NGO claimed high level of PM10 may "reduce" the quality of football played during the tournament.